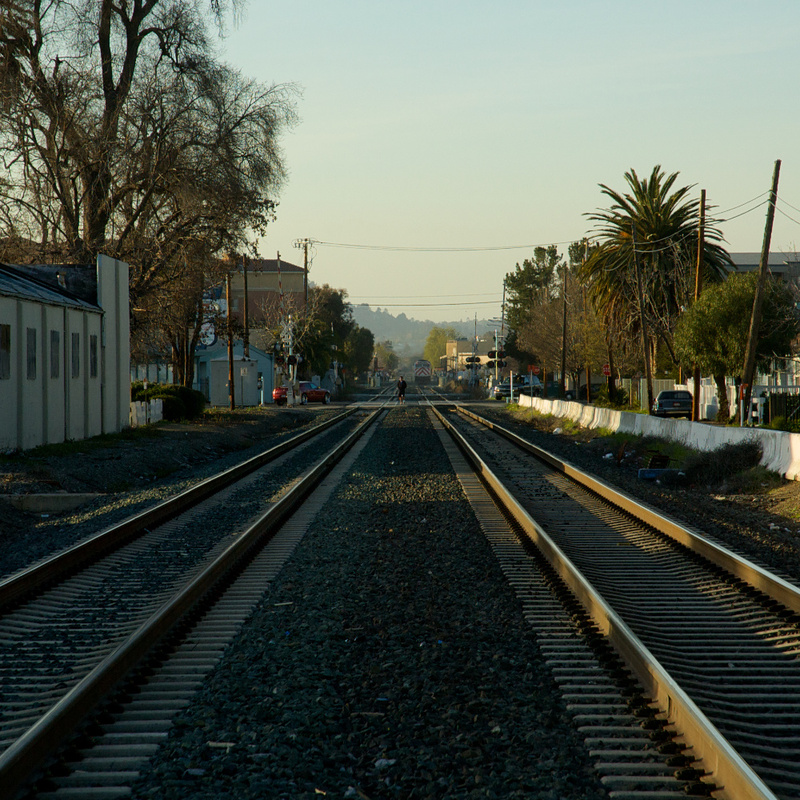 Looking north towards Redwood City station, from the Chestnut Street grade crossing. I don’t know what that guy is doing. Shot with the Nikon D70s and the 18-70mm f/3.5-4.5 zoom at 70mm, ISO 400, f/9, shutter 1/250 sec. Cropping, exposure, saturation, highlights, and levels adjustments in Aperture.